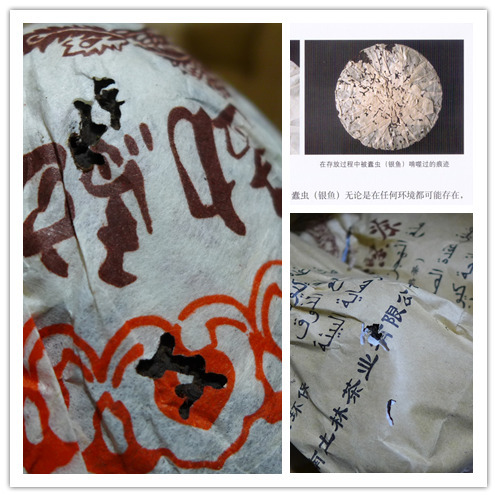 Jin Cha (mushroom) is especially for Tibetan market, used to be mixed with milk, it is very helpful for the digestion. 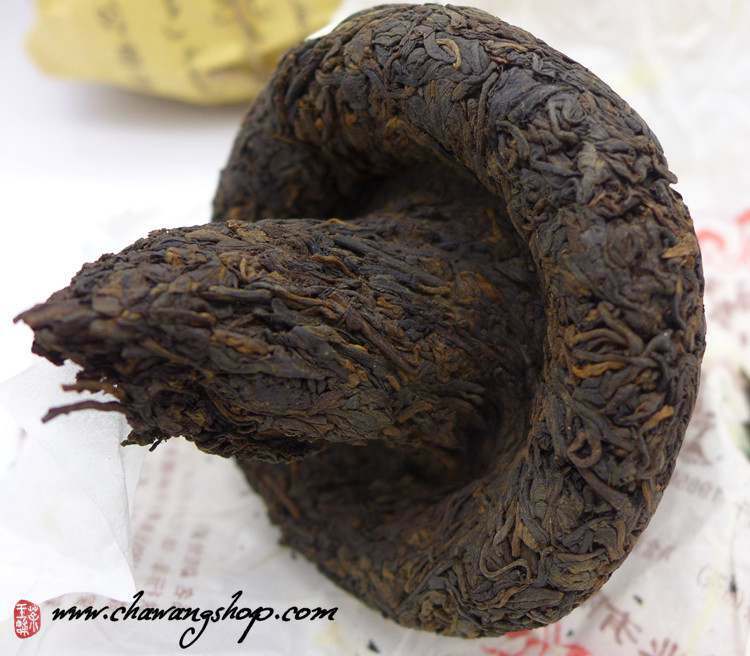 Using 2010 large-leaves material from Wuliang mountain, lightly fermented, red-brown, fat and tight leaves with light zhang xiang (scent of camphor) combined with the special aged-aroma. Brew is soft, slippery, tasty, pure and mild. 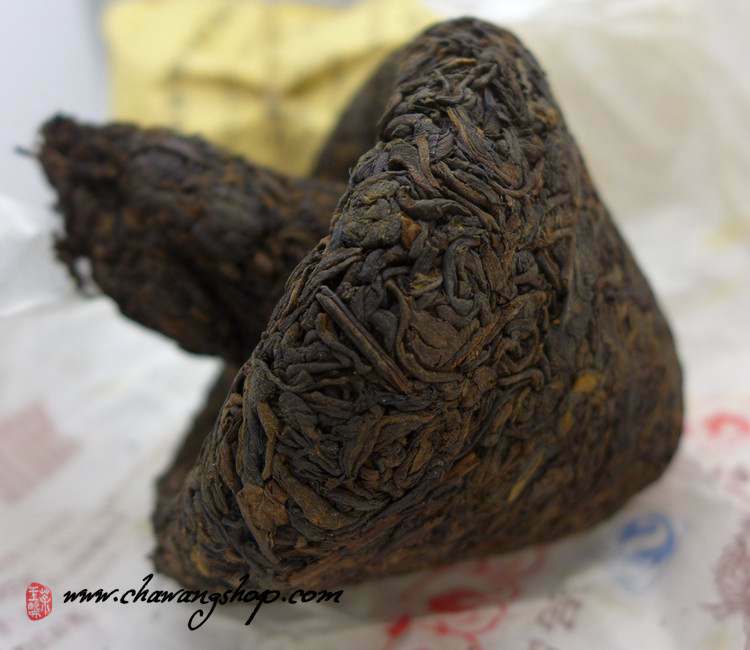 This batch of tea was purchased in 2016 from the Tulin phoenix dealer in Dali, so it has been stored in a large warehouse in Dali for more than 5 years. 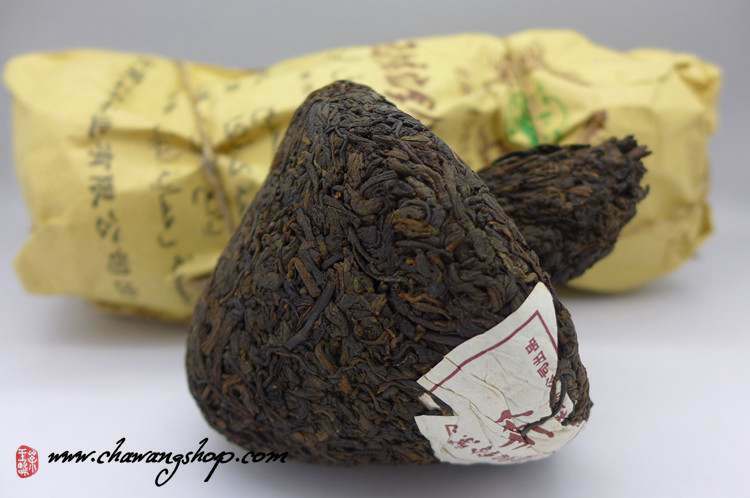 The large warehouses cannot use any pesticides and the tea is stored in natural conditions. Wrapping paper without any chemical treatment is very easy to be eaten by insects. There is no effect on the tea itself. If you mind the worm holes after purchase, we suggest you change all the wrapping paper and store it in the clay pot.